​Key Features: Spectacular spring and autumn foliage colour; beautiful flowers; small and rounded habit; suitable for gardens of all sizes. 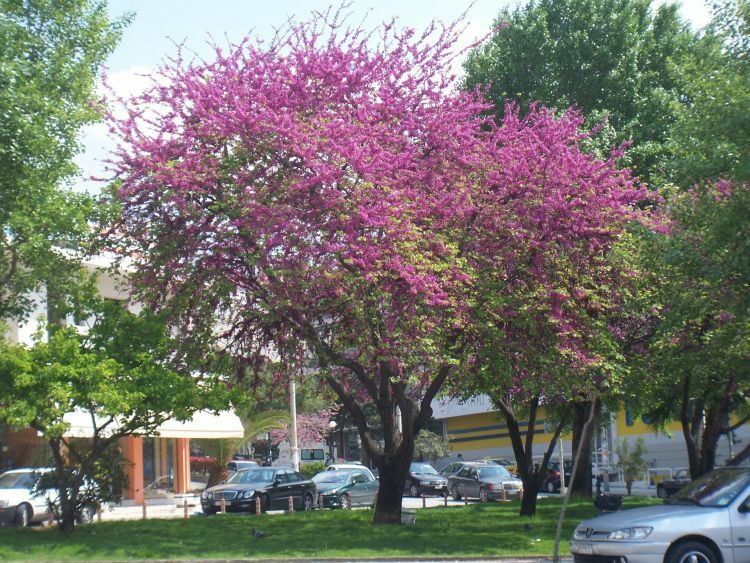 Cercis siliquastrum commonly known as the Judas Tree or Love Tree is a native tree to the East Mediterranean. It is a small to medium sized tree with stunning spring flowers and prized autumn foliage. The tree is said to have arrived to the UK during the 17th century, and its common name relates to the tree scaled by Judas Iscariot during Biblical times. Cercis siliquastrum grows best when in well drained soil with plenty of sunlight. Slow to grow at first but once matured is a remarkable focal point in any garden. Grows to a full height of 3-7m. Frost hardy.